A Pakistani origin Canadian Khalid Malik offered to gift helicopter to PTI Chief and Prime Minister Imran Khan. 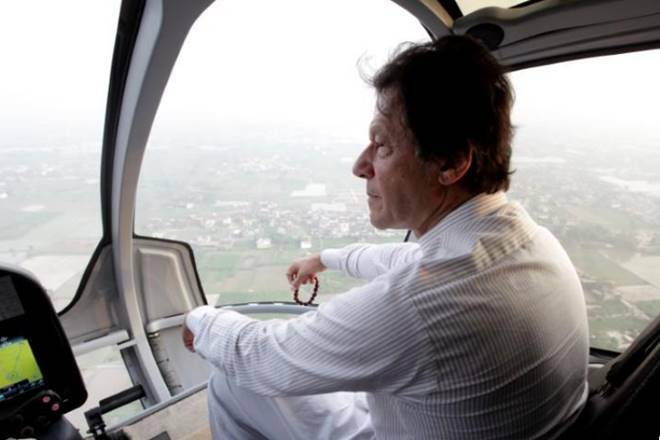 Khalid Malik, Pakistani Canadian offered helicopter to Imran Khan after he experienced harsh criticism over helicopter misuse. Khalid Malik chose to make this offer to Imran Khan in light of the unwanted feedback against the PM that humiliated him and overseas Pakistanis. He said that subsequent to having seen the unwanted feedback against Imran Khan for utilizing a helicopter, he therefore declare an endowment of a helicopter including fuel allow for Imran Khan’s utilization given that the media and every political party quit cribbing about his air travel. Khalid Malik further added that on the off chance that my proposition is settled upon by all the concerned people, at that point the principal secretary of the PM may get in touch with me on his phone number. Earlier, Fawad Chaudhry revealed that Imran’s helicopter usage cost is Rs 50 to 55 per Km. He further added that it is a cheap helicopter if someone owns it personally and not kept it on rent. Fawad Chaudhry said that it’s better to travel with helicopter instead of travelling in motorcade that creates problem for people. Last Month, National Accountability Bureau (NAB) summoned Imran Khan in the helicopter misuse case. NAB officials revealed that Imran misused Khyber Pakhtunkhwa government’s helicopters for 74 hours. They also said that it did the loss of Rs 2.1 million to the national fund.